Can you believe we’re already halfway through our Splendid adventure? Well, I’ve got around 30 blocks made so far and am really pleased with them. Some have been rather challenging to say the least and all of them have made me go slowly and actually use my ‘textbook’ techniques as learnt many moons ago. Here’s my version of the bonus ‘Top of the Hill’ block which you can download at The Splendid Sampler website. Next week we are off to the largest quilt show in Europe- The Festival of Quilts which is always inspiring, exhausting and great fun. Come and say ‘hello’ to me and Chief of Everything on Stand G4. This year it will be even better as the English Splenderettes (and any other nationalities who happen to be there of course!) are meeting in the Wetherspoons pub (where else?!) at 1pm Saturday 13th August. Bring a Splendid block with you so we can find each other! And now, all you need to do is leave me a little comment for your chance to win one of my ‘More Hearty Good Wishes’ 5 inch charm packs (hard to find now!). I’m so pleased to be a small part of this wonderful and generous project- aren’t you? Oh, you’ll have so much fun at the show! Good luck getting through the second half of the Splendid Sampler! Have fun at the show! I have always wanted to g to that. I live in the US but hav family near Birmingham so maybe one day! On we go and it’s all down hill from here! Thanks for the Splendid Sampler! I would love to win your fabric. Thanks. I am enjoying the Splendid Sampler. Thank you! Love this journey! A big thank-you to Pat & Jane, you and all the designers who gave their time and talent to this project. Have fun at the quilt festival. Thank you so much for giving us your block for this great experience which is the Splendid Sampler! Have a great time at the show! I love your Top of the Hill block! I have 39 Splendid blocks done and am spending today working on some more, including Top of the Hill! I love seeing your renditions of the Splendid Sampler blocks. Your fabrics are lovely in them. The Festival of Quilts sounds exciting. I’ve never been to a quilt show before. Thanks for the giveaway. Hi Janet! Thanks for this chance to win your lovely charm pack. I love the idea of the hexagon sampler you are making of all the fabrics you have a designed. It will be a wonderful memory piece for you! Love seeing your fabrics show up in various blocks! Wish I could be in Europe next week for the show! Thanks for offering this contest! I love your Top of the Hill block. I am having so much fun with the Splendid Sampler! Have fun at the show! I am loving the adventure of the Splendid Sampler quilt. Thank you for being counted as one of the designers. Thank you for hosting a giveaway. I hope you enjoy the Festival of Quilts next week. I lived in Germany from June 1980 until April 1984 and then Belgium from April 1984 until June of 1991. I don’t remember quilting being as popular then as it is now. Your sea birds and marine looking fabric is one of the best. Thank you for doing the Splendid Sampler. It’s been so fun to see everyone’s interpretations of the blocks! I love seeing your Splendid Sampler blocks in your lovely fabric lines. Thanks for the chance at the great giveaway. I would so love to attend the festival of quilts, I would be in heaven, thank you for your give away. I have to say that it is really reassuring to hear that you, and several of the designers, are also “behind” on blocks. I know it is not a race, but when you see everyone posting their completed block within hours of a design coming out, it is hard not to get a little panicked that you are behind. As I see more and more people telling how many blocks they have completed, it reminds me that I have permission to breathe and do these as inspiration and time allow. Hi! I’m a splenderette from Virginia and I’d love to win your give away! More Hearty Good Wishes to you ;-). Thank you for this fabulous giveaway. I love your work and enjoy your blog. I wish I could meet you but have a special needs husband so we don’t travel much. Have an amazing time! Janet, love your designs and fabrics. You and all the designers of the SS have been unbelievably generous with you time and talent. You commented on one of my blocks…I walked in the clouds that whole day!! I am still in LOVE with Nocturne from last year. Please keep feeding me your blues and creams. I will live happy forever if you do. Love the new range Flight coming out soon here in the UK. Working with your cat quilt pattern, I have encouraged my granddaughter to position the cats and to get involved with this quilt, as well as the splendid blocks. YOur Flying High quilt was really fun to make! Thanks for designing it and for hosting a giveaway. Your Flying High block was fun to make. Thnx for hosting a giveaway and thnx for designing the block! I love your color combinations, very pretty! This is so much fun. I’ve gotten through 32 blocks so far–it is definitely making me practice long forgotten skills. Oh if only I could join you but I am 600 miles away in Scotland. I’m so happy to be a part of this project too! Thank you to all the designers. It sounds like you will have a fun time at the quilt show and the Pub. Such a pretty bundle of fabric that you are offering. My mother would have loved the blue colors and the seaside theme. Her house was on Cape Cod, Mass. Your block is cute. I was thinking of the same colors. Thanks. Am saving the patterns for the future as working on another project just now. Love the fabrics. Unfortunately I’m not able to attend this year. I hope that the show goes well for you and thankyou for the giveaway. What a great trip this has become! I have completed 22 blocks! I plan on doing the embroidery blocks while on vacation. Thanks for your participation. Have fun at the festival. Your fabrics are lovely!!! Thank you for being a part of such a wonderful experience. Would love to meet you at the pub but I will be sewing with the Second Saturday Quilt club. Probably catching up on the SS blocks. A couple of us are doing them and only one is caught up – not me! Thanks for being a Splendid Sampler block designer… isn’t it fun viewing the variety of fabric and color choices for each of the blocks. I am learning sew much and love all the tips shared by the designers. Kudos to you for your block…and thank you for the giveaway..and on and on we go for 50 more blocks! Ilove the Top of the Hill block and can’t wait to make it. I’ll try to make it like one of the mountains back home. Hi Janet, I am having so much fun on this Splendid journey! Today I will be making Flight of Fancy #50, and then I’ll be all caught up for tomorrow’s addition #51! Loving your choices of fabric and very much enjoying the variety of blocks from all the different designers. Your fabrics are making some lovely blocks. This is an exciting project. Some blocks are stretching me beyond my comfort zone – but always good to be challenged and to learn new techniques. How exciting. Have fun at the Festival. And Hearty Good Wishes to you! Loving all the variety of Splendid Sampler blocks! Thanks for the chance to win! OH how I wish I could be there at the quilt show I’m sure it will be a ton of fun! Looking forward to the next 50 beautiful blocks! hope you have lots of fun at the show. this looks like a wonderful bundle of fabrics. My favorite part of the Splendid Sampler is browsing all the finished blocks. I love to see how the fabric choices play out in each person’s block. On the topic of fabric choice, I just made a baby quilt using the fabric showing at the top of the charm pack. My niece chose a nautical theme for her son’s nursery. If I was to win, I would use the charm pack to make a wall hanging for them. Thanks! It sounds like a wonderful time is soon coming to you! Really am enjoying all the variety in these blocks. Am looking forward to combining a subset of these beauties in a quilt. Can’t meet you at the pub, but toast all the Splenderettes for me! Good luck with the show, it looks amazing. One day I will make it! I love this fabric line, as I grew up 3 miles from the ocean. It reminds me of home. Thank you, this has been a fun journey. I love love love this journey. I’m amazed at all the designs and fabrics! Would love this charm pack ! ???? Have fun at the show and meet up with the Splenderettes! When a US friend, who is a beginner quilter, asked for advice on fabrics for a quilt she wanted to make for her nephew, who was joining the US coastguard, I knew exactly where to direct her. Hearty/More Hearty good wishes was perfect and she did a great job using a layer cake and yardage in a Shadowbox design. I adore your fabrics Janet, keep up the great work! Thanks for sharing your blocks with us. Your bundle of hard to find fabrics looks like fun. I love that fabric. I was in California when the first line of it came out. I immediately fell in love with it and made a quilt for my sailing friend. I will need to look for this line now! Thanks for sharing this post. I hope you have a wonderful time at your upcoming quilty gathering. Love your block(s) and your fabric! Thanks for a chance to win! Yes it has definitely been a fun and exciting top of the hill celebration and giveaways. I have faithfully printed out all of the patterns. There are so many talented designers who have take the time to share their creativity with us. We are going to have a quilt of a lifetime to cherish. Thank you for the chance to become a winner. I am so jealous, I would love to go to the show and meet y’all at the pub. Will singing follow show and tell? Ha! Love every thing english! I love your designs. Sorry I can’t go bye festival of Quilts. It’s Birmingham I’m in Northern Ireland. But look forward to seeing more of your stuff at my local quilt shop “love stitching”. Is your dog a wire fox terrier. My 15 yr old just died and we have 15 month old WFT named Pippa. Love them. So glad to fine your lovely work. Thank you for participating in the Splendid Sampler. This is such a fun journey. Thank you so much! This is indeed a Splendid adventure! Your block is so cute! Thanks for the fun giveaway! Really hope I win, I would love to use the charm lack to make a present for my Grandma, she lives next to the Gulf of Mexico! I have been slowly making the blocks and glad to have some new challenges. Have great fun at the show. Thank you for participating in The Splendid Sampler and for the giveaway! It has been a marvellous journey and the fun is mostly in seeing how the choice of fabrics changes the look of the block! Such inspiration and challenge with each new block. I’m loving it all !! I really like your fabrics. The colors and designs are great! Oh how much fun it would be to visit you at the show and meet the English Splenderettes? Many Hearty Good Wishes to you and thank you for your participation. Oh wow! I wish I could join you at the Pub. The show would be incredible to attend. Thank you for the fun give away. Have a great time at the Festival of Quilts. The pub will be lively on Sat. Ciao, peccato essere lontana, ma auguro a tutte il massimo divertimento! Your Top of the Hill block is striking. It looks like a full moon rising. Janet, I love the simplicity of your block, the fabrics are quite lovely. The Splendid Sampler QAL has been quite a journey and I’m learning so much. Enjoy the quilt show and don’t work too hard. I love your selection of fabrics for the block. Slow to make the blocks, but lovin’ all the designs. Thanks to you and to all the designers for your lovely work and for sharing. Variety keeps away the tedium of repetition. Hi Janet! Thank you, girl, for an awesome ride. This is such an interesting journey. Good luck in the show. Thanks for a chance to win the charm pack. Hey, who wouldn’t want to get free fabric…says an avowed fabriholic. Ojalá pudiera ir a esa feria, pero vivo en Madrid, España. What a wonderful experience and so much learning going on! Shows are always such fun – inspiring and energizing. Have a fabulous show – and enjoy gathering with all the like minded “Splendid Sampler”s. I started the splendid starter a little late but I am enjoying it immensely. It’s wonderful to have so much inspiration from all of the wonderful designers including yourself, thank you! This sampler has been so fun. I look forward to it in my email and is the first thing I open!! Thanks to all the designers and have fun at the show! meeting at a pub sounds like so much fun! wish I could be there, also your fabric line is something I plan on looking for. love the whimsy of it. The quilt show sounds like so much fun! Thanks for the giveaway! I love The Splendid Sampler Quilt and all of its different techniques. I’ve never done embroidery on a quilt block before. Fun project, looking forward to the next 50. Hello! Just now finding your blog via your Etsy shop. I just ordered the kit for your Midnight pattern. It’s an added bonus that you’re a SS designer too. I love being called a Splenderette!!! I am enjoying the Splendid adventure and am enjoying all the techniques we are learning or relearning. Would be fun to be wearing a Splendid Sampler block for an identification at the quilt show-except I have to stay home and work! I’ve greatly enjoyed seeing all the different crafting techniques each designer uses for their block. And…my favorite…seeing various crafters putting their own “spin” on a block using different colors and themes. I have a lot of fun making the blocks but I’m so behind it’s embarressing … I hope to catch up soon. Thanks for your inspiring blocks. Have fun at the quilt show. It’s fun reading comments from all over the world, a large quilting community. Love this quilt! It has been so much fun making the smaller blocks – all of the detail and love that has gone into creating them has been very much appreciated by this quilting community! Thanks for your time and talent! Hi Janet! I so enjoy your design & style. I just finished the blocks from your “Home Quilt Home” book-the Village Squares Quilt. I had never machined appliqué before-only hand appliquéd…so I learned a lot and got pretty good! I just need to sew the sashing on. So much fun to make each block and can’t wait to finish it. Next I want to make Neat Town Houses. Thank you for all your creativity! The Sampler blocks are all gorgeous. What a variety; that’s the best part. I am enjoying the process and each new block. I would so love to meet you in person some day. Your fabric designs are all so lovely. I would love a charm package of your Hearty Good Wishes. Thank you for being a designer for the SS and for the giveaway! This was my first time at your blog, but it won’t be my last! I am loving the Splendid Sampler! 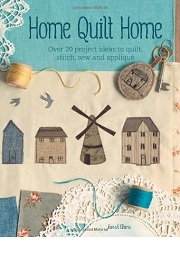 I love also reading about each designer and gathering ideas and tips on quilting and sewing. I wish I could pop around to the pub with you all, hehe. Have fun! I am loving all the wonderful blocks, designed by such talented people. Muchas gracias por la oportunidad de participar en el sorteo. Yo también lleo treinta bloques 🙂 Es un consuelo. Aren’t quilt shows still the best way to get inspiration! I’ll be there in spirit. I have learned so much. Those blocks are challenging indeed! Have fun! Thank you for your giveaway. This sew-along has been an exciting adventure. I have about 40 of my blocks made. The hardest ones for me are the paper pieced blocks. I am definitely no fan of paper piecing, but I have been taking my time and have managed to get most of them done. I really love all the blocks. Thank you so much for all you do to make quilting fun! The show you are going to sounds amazing, wish I wasn’t so far away! Enjoy your days! Love the simplicity of this block. 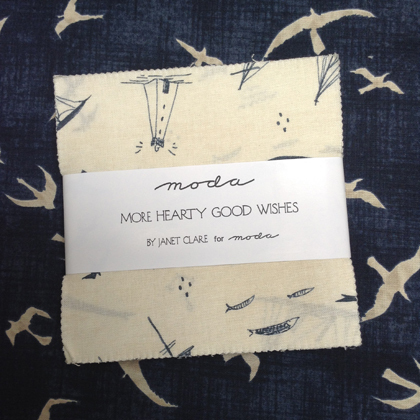 I have just bought hearty good wishes and home quilt home, so the chance to win some of your fab fabrics is wonderful! Thanks! Good luck on the show and can’t wait to see the next 50 blocks! Wonderful to see designers from all over the world helping with this wonderful quilt journey. Thank You. I am enjoying seeing what quilters all over the world are doing. Thank you for being a SS designer. You all amaze me. Loving this journey. I am learning so many new techniques and being introduced to so many new designers and fabrics… I think I’m becoming a quilting junkie! I’m so jealous; I would love to go to the show in Europe. Have fun. And thanks for the giveaway! The show sounds like great fun, wish I could be there. Participating in the Splendid Sampler has made me wish to visit all these wonderful designers and quilters in other countries. I have made a version of the Top of the Hill block for a block exchange I was end some years ago. it was called Moon Over the Mountain block. i wish I still had some of the fabrics I made the block in to make this SS block but don’t. This has been an amazing journey. Hi – thank you for participating in this “splendid” project – Love your “Flying High” block – first time doing raw-edge applique (it has been a first on a lot of these blocks). I have completed all 50 blocks (can’t believe we are at the half way point) and some bonus projects. So much fun!! Oh that is such a cute fabric! I love your fabrics and designs. Have fun at the show! So many beautiful blocks; and isn’t it such fun to share them with everyone! Enjoy your trip and meeting more Splenderettes!! Cheers. Nice to meet you Janet! Happy celebrating! Can’t believe we are half way with SS ???????????? What fun to meet other Splenderettes in person. I have a jelly roll of your Hearty Good Wishes….saving it for best! Have a great time meeting all the European Splendid participants. Thank you for being a designer. This is so much fun and so educational. Love your fabric! I’m new at quilting, just started last year, and the Splendid Sampler has been wonderful for learning. Small blocks and having bought extra fabric means I can do blocks more than once if I’m not happy with them. I plan to use “duds” to make doll quilts for my granddaughters. No waste! Love all of your colors! Love all the clarity of these blocks, thank you for being part of this great experience. The Splendid Sampler adventure has been so much fun. Thank you to all the designers and Pat and Jane! Thanks for being part of this Splendid journey with us and offering a giveaway. Your Top of the Hill block is lovely! I want to thank you for your wonderful fabric designs. I have thoroughly enjoyed your Hearty Good Wishes and Nocturne fabric lines. Thanks for being a part of the Slended Sampler. Your fabrics are great. I love your top of the mountain! Can’t wait to see what the other side holds! This has been such fun, and so many different styles and techniques – I really enjoyed your seagull block – so fast, and free motion appliqué was so… freeing! Woohoo! Thank you for the opportunity to win some of your lovely fabric. I am really enjoying the Splendid Sampler though am a few blocks behind, working on block 39 at the moment. Thank you so much for you lovely block! I’m learning so much from all the designers and really enjoying the experience! I love your More Hearty Good Wishes line . . . it might be perfect for a second Splendid Sampler, once I get through the first version! I love your bonus block!!!! It’s such a beautiful soothing combination. I’d love to win this charm pack! Thanks for the opportunity! I am loving every step of this wonderful journey. Thanks for your work. It would have been so nice to meet other Splendid Sampler quilters but I”ll join you via internet. That group sounds like some MORE fun is on its way, enjoy the show for me! Thank you, the blocks are all so terrific, looking for to the next 50. Enjoying The Splendid Sampler journey, renewed love of embroidery and overcome fear of fusible applique. Love all the new online friendships started. The Hearty Good Wishes fabric line is amazing! I am enjoying the opportunity to meet each of the designers and learning so, so much! Great work and thank you. This is so awesome getting to meet new designers like yourself. Your Charm pack is adorable! Hope you have a fabulous time in Birmingham! I am a HUGE fan of yours and I was so excited to see you on TV a few hours ago! I read your newsletter every time, but I’ve never been able to find the right channel…til today! Thank you for the giveaway…the good old blighty quilt is next up on my to-do list…I love your work. Thank you also for your time, talent and effort you have contributed to the splendid sampler. I don’t know how you do it all! Your blocks are gorgeous. Love watching you create via Instagram 😉 I still have some of your hearty good wishes waiting for me to create a quilt with them! Thanks for the chance! Would so love to be there quilt show but unfortunately I’m on the wrong side of the world for it – have a great time. More Hearty Good Wishes would have to be one of my favourite collections ever, I always look forward to seeing your latest designs. I like your fabrics and patterns. Hope you have an awesome time at the Festival of Quilts. I am so jealous. I have completed 36 blocks so far. Some are a little more time consuming but I am soooo loving this Splendid journey we have all endeavored to take on. So thank you for being a contributor to our journey. I love all of the sampler blocks- so much variety! Loving doing The Splendid Sampler and ‘meeting’ all the designers. Love trying all the different techniques. Loving doing The Splendid Sampler block and trying all the different techniques and ‘meeting’ the designers. Thanks for the chance to win. Having fun!! Wish I could be at that show!!!! I will have to put it on my Bucket List for sure!!! Fun times meeting up with Splenderettes! Hurray for our new sisterhood!!! I’m loving the blocks and everyone’s fabric choices. It’s fun to see the different interpretations of the same block. Loved trying the free motion appliqué technique, but was too timid to use it in my quilt. Wow!! !mwish I was going to that quilt show!!! Wow!! I wish I was going to that quilt show!!! I was lucky enough to meet up with fellow splenderettes and designers at “Meet in the Middle” in Syracuse NY this past month. It was so much fun to see everyone’s blocks. Enjoy the excitement that is contagious! Love your Top of the Hill block. It’s like a full moon behind the mountain. Have fun at the show. I’m using some of Hearty Good Wishes in a baby quilt I’m making. Haven’t started any Splendid Sampler blocks yet. I am amazed that we are already halfway thru the quilt blocks. What fun it has been and I feel I have learned SO much! Enjoy the show and thank you for the giveaway! Love your block, enjoy the show. Hope I’m able to catch up some day. Enjoy the show and I am sure you will have a great time. Thank you for your giveaway prize! It’s beautiful! Love your Top of the Mountain block! Have a fabulous time at the show and meeting up with all the Splenderettes! It will be interesting to see what block each person picks and whether it matches their personality! Oh what fun getting to go to the Festival AND meet up with the Splenderettes! Thank you for being one of the designers. Love your fabrics. Have fun, fun, fun at the show! Oh, my, have a wonderful time at the Festival of Quilts, what a great time to be a quilter! Thank you for being a SS designer – I am loving this project on so many levels. Oh, a meet up – how lovely, sadly I don’t live in England, but it’s a great idea. I am loving every minute of the Splendid Experience. Thanks for a being a part of all of our lives!!! I agree with you, I also had to slow down and improve my technique. This has been very good for me. I have used your little brown birds also since I did your lovely block for my sampler. They were a big hit on throw pillows. Thank you Janet! Love your Top of the hill block! I LOVE that blue bird fabric! Your block is lovely! Have fun at the quilt festival, it sounds like fun. I am enjoying making the blocks and seeing all the different people around the world posting their blocks. Have fun at the show! Your fabric is cute, thanks for the giveaway. Enjoy the show! Love your fabric & thanks for the giveaway. Have a whole lot of fun at the show! enjoy it all! This Splendid Sampler adventure has been a learning experience– which I was hoping for, and a heartwarming one as well. Love that charm pack! Thanks for the chance at such a great gift. The Splendid Sampler has indeed been splendid – so glad we are going to continue this journey for a while! Thank you for participating in the Splendid Sampler! So glad you’re a part of this! I love the designers that I’m being introduced to as part of this journey! It is so interesting to see the blocks done in a variety of color schemes. Your choice of colors have a peaceful, almost Japanese feel to the them. Loving the blocks, enjoying meeting the talented designers and feeling inspired again. Thanks for the great giveaway. I’m loving the Splendid Sampler blocks and the fantastic variety that we are making from the same pattern! I joined S.S. Well after your three little gulls were released. So I look forward to your challenge. As a beachside resident in Queensland, bird activity is an pleasurable feature. Ohh, wish I could stow away and come to the show. I have 30 blocks made but had to stop to get things ready for our quilt show. Have a great time at the show. I love the fabrics you picked for the Top of the Hill block! I love ALL your fabrics . Thanks for being part of this fabulous adventure. I love the background fabric on your block. Your tutorial for making your block Flying High has inspired me to try. A quilt show? Sounds wonderful! I haven’t been to one yet…Someday! 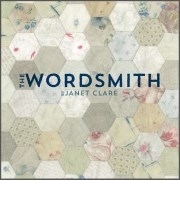 Hearty good wishes to you too Janet Clare for your generosity and inspiration. Meaning me & you are namesakes! I am slow on my Splendid Journey… only 8 blocks so far… I am happy to be a part of the group! Nice to meet you. How generous of you to share this charm pack, which is ever more of a treasure as time passes. Thanks so much for the giveaway. So nice to know about your fabric. Love you # 50 block! Halfway is indeed a milestone! The Splendid Sampler has allowed me to enjoy quilting vicariously since I cannot sew while my hand heals from surgery. I’ve enjoyed the journey so far with the Splendid Sampler and I’m mostly keeping up with this, just a few block in progress. I love the Splendid Sampler I am learning so many new techniques in quilting, it is a challenge to me at times but I love to master something new. Love your Top of the Hill! Have fun at the pub. Thank you for all the effort put into SSi…it’s a great journey and love learning new skills. Hope the show is all you wish !! Enjoy the show. This sampler has been a challenge , but we all need to expand our knowledge and grow. Have fun at the festival. Thanks for a chance to win your fabric giveaway. what fun to meet other “Splendids” and your fabric is so different and lovely! I have enjoyed learning about the designers as we go. Love your take on the blocks! 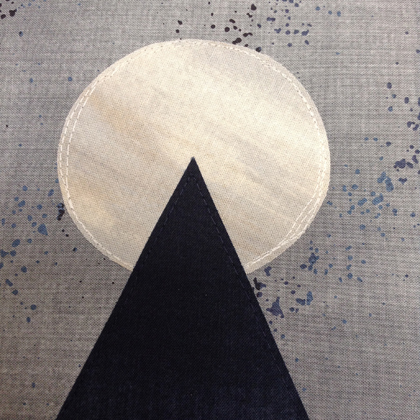 Your fabrics for Top of The Hill looks so like a full moon coming up over a hill top. Love it! Love your block and thanks for the giveaway! Such pretty fabric! Thanks for the chance to win. Would love to see that quilt show, and meet up with some Splenderette’s! Have a great time! Many thanks for your contribution to the Splendid Sampler. I’ve finished the first 50 blocks, and am anxiously awaiting the next 50. I’ve never been to the festival of quilts but I love hearing about it and seeing pictures after. I’m sure you’ll have lots of fun there. Lovely fabric. What a treasure. Enjoy the festival and thanks for the giveaway. I LOVE THIS FABRIC! would love to win this charm pack. I would love to go to a Quilt function, but there aren’t any close to where i live that I am aware of, Hope you have a lot of fun at the festival. Thanks for the chance to win. I love your fabric. Have a wonderful time next week! Thank you for your contribution to this Splendid project!! I would love to meet you at the pub! Unfortunately, I am stuck here in the USA. Thank you for the opportunity to win the charm pack of your fabric. Thanks for the opportunity to win this fabulous charm pack. Have fun with the English Splenderettes! Such adorable fabric! Thanks for this opportunity! 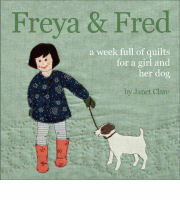 Looking forward to seeing you both at my first Festival of Quilts. Love your fabric as always. I am a wee bit behind on the blocks too. Love your char pack. I can’t quite decide whether this giveaway is restricted to ‘Splendid’ members only, but in the hope it is not and anyone can enter – please count me in. I just love your colour palette and love this fabric, particularly as I have just bought your ‘Hearty Good Wishes’ book! I love your version of Top of the Hill block! I love your fabric! Thank you for the opportunity to win some of it. Hugs from across the ocean. Have a great time! I’m enjoying this journey along with you in my home. Still lots to do and cant wait for the next 50! I’m so jealous, wish I could meet up with you at the pub! I would love to win your charm pack! This is such a great project that these ladies have taken on!! What a great opportunity to meet different designs, having a great time even tho I haven’t kept up, about 34 done. I’m enjoying the splendid sampler journey and the joining in on a project with so many other quilters. I have made 41 blocks so far plus two bonus blocks. With summer time with family I have gotten behind this last month. Thanks for participating in this Splendid Sew-along! I’ve been able to keep up or catch up on a few occasions and have completed all 50 of the blocks, working on 51, and have completed the bonus blocks, and several other blocks found on the Moda website. This journey has been so many things….educational and challenging and delightful! Your fabric looks great. Thanks for being a Splendid designer! I’m way behind but still enjoying seeing all the blocks and their variations. I look forward to seeing pictures from the festival of quilts. Have a fun time! Thanks for the give away chance! Always love to win fabric! Love your Splendid Sampler mountain block. Reminds me of holidays past. Thanks for the draw. Ooh I wish I was going to the Festival of Quilts with you! I don’t land in the UK until mid September! I’ll have a look out for anything you may be doing while I’m there. Just a few weeks this time. Longer break next year! I’ll aim at August next time! I have made 28 almost 29 of the blocks. I was able to keep up each week until my hours at work got longer and the garden started putting out produce that needed to be preserved. I am ready to get back at it and catch up. I loved making your block, it was the first time I tried my hand at free motion applique. It is on my Bucket List to go to a quilt show someday. Enjoy every moment and come back to tell us about it! I look forward to every Sun. and Thurs. to see the new block and meet the designer. Thank you all for taking the time to create the blocks. have a great show and wish I could be there. Enjoy the quilt show. I would love to visit it some day. I’m learning lots as I complete the blocks in the Splendid Sampler. They are all so different – it’s amazing to see all the creativity. Have fun at the festival! I am learning so many new techniques and working hard to improve old techniques. I am taking my time to measure, cut and stitch with accuracy. Thanks for participating in this amazing project. I am a British transplant. Thank you for participating in this. Have fun at the show and afterwards at the pub with any other Splenderettes. I love this line! Thank you. The Splendid Sampler is so fun. Hello splenderettes next week. Wish I was with you. Quilts and return refreshed and ready to do more of what you do so well! More please! The quality of your material and the beautiful designs make it a pleasure to sew! Have a great time at Festival! Love all your beautiful fabrics and look forward to many more in the future???? I am so sad for not visiting this year the Festival… Have fun!!!! Thank you for being involved in this journey. I love your fabrics…blue is my favourite colour. Working on block 38, slowly making my way through. Struggling with paper piecing and embroidery but determined to attempt them all! Would love to go sometime! This is on my bucket list!This looks like so much fun! This sampler is so much fun. Love your fabrics and patterns! The festival sounds amazing. I just spent 2 weeks in England on a 40th anniversary trip with my sweet husband. No quilting – but a wonderful time. Thank you for your contribution to this rewarding journey. It’s so fun to see all the different color ways and fabric variations! 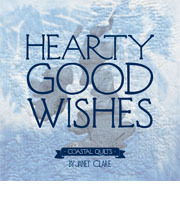 I just love your ‘hearty good wishes’ fabric line and book ! Have a lot of fun and a great time ! To bad I’m unable to be there. I would enjoy meeting up with your group and see other people’s beautiful blocks. Your fabric is lovely and would make some pretty blocks! I WOULD LOVE TO BE THERE WITH ALL OF YOU. I AM HAVING A FUN TIME WITH THIS SAMPLER. Have fun! Enjoyed your block and am also enjoying your wildflower quilt-along. I have enjoyed being part of this group and leaning so many new techniques along the way! Looking forward to seeing you at festival of quilts. Hearty good wishes book and accompanying fabric is my favourite. So wish I could be there with you all at the pub, but . . . I’m on the wrong continent. So winning this charm pack would be a cool substitute. Love your version of Top of the Hill-your Hearty Good Wishes fabric line is so fun! Thank you for a chance to win some of it! I have never been to Festival of Quilts, but it’s on my bucket list! I hope you have a great time! Have lots of fun! Where is the show? I’m sure you’ll see many wonderful quilts! Oh fish and ocean(I used to scuba dive and have named all my dogs in that theme-Ocean, Oyster Jetty are the current ones. Having so much fun with the SS. Thanks for having a give away. More fabric is always appreciated! This is definitely a “splendid” journey. Being a part of the Splendid Sampler journey is such a pleasure. The opportunities to learn are endless. Hope you have a fabulous and profitable Festival. I do hope to pop by and say hello whilst I’m there. Love these blocks – this has been fun to follow along with! Thanks for sharing! How fun to get to attend a quilt festival! As a beginner, I’ve not had an opportunity to go to something like that yet. Your fabric is lovely! !